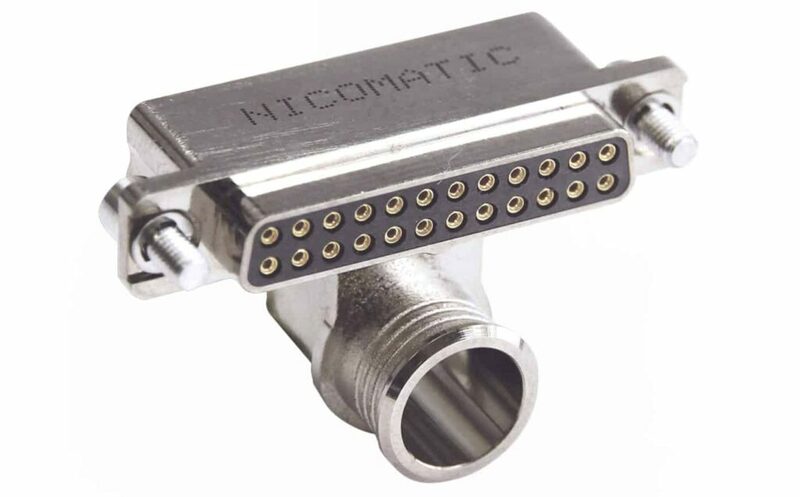 Nicomatic is a leading global designer and manufacturer of electronic connectors and cables used in a wide variety of aerospace, defense and security applications. 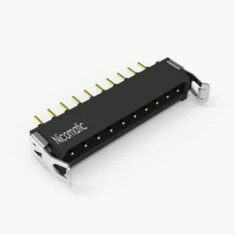 Nicomatic’s interconnection solutions carry power, information and video between printed circuit boards (PCBs) and cable assemblies in unmanned aerial vehicles (UAVs) and other robotics and weapon systems. 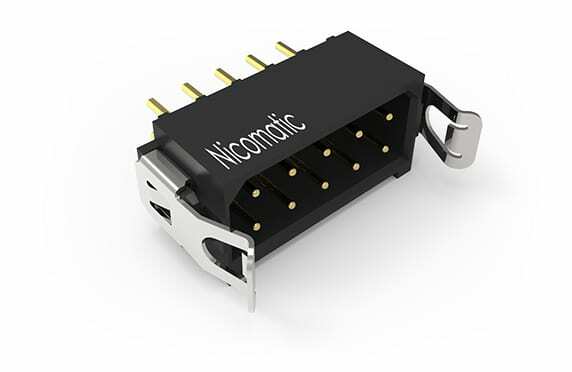 Thanks to our 100% in-house production process, we offer two week turn-around to our customers on many of our micro connectors. 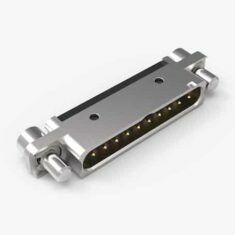 We also provide custom connector solutions for all your applications, with direct engineer-to-engineer contact – please get in touch with your requirements. 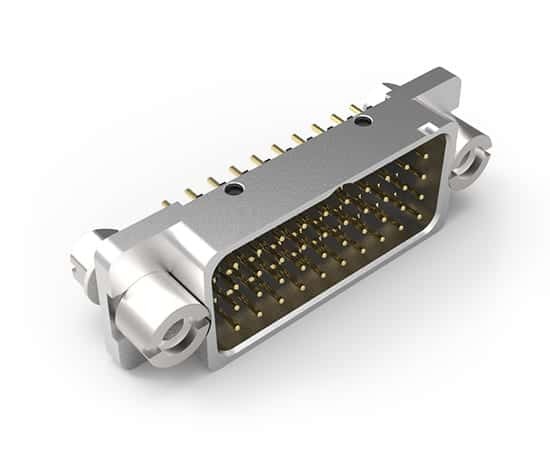 Our EMM Rugged Micro Connectors have been designed to meet the performance requirements of MIL 83513 and withstand the harsh unmanned Mil/Aero environments. It combines rugged design with enhanced electrical and environmental performance. 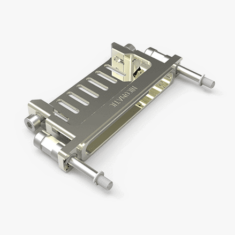 The 1.27mm pitch EMM connector is lightweight and robust, offering a 20% weight reduction compared to a standard Micro-D counterpart. 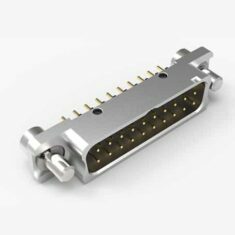 It is an ideal choice for use in unmanned vehicles (UAVs, UGVs) where component size and weight are critical factors. 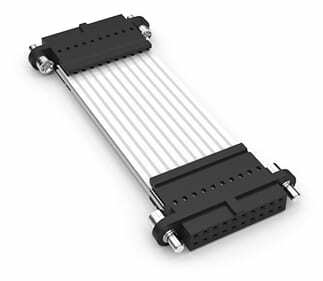 The EMM connector features reversed contacts, integrated 90° back protection, and interchangeable hardware between male and female connectors with locking & guiding functions. Suited to both board to board, and board to wire (from gauge 24 to 30) configurations, EMM will provide extreme modularity with any pin selection available from 04 to 60 signal contacts. 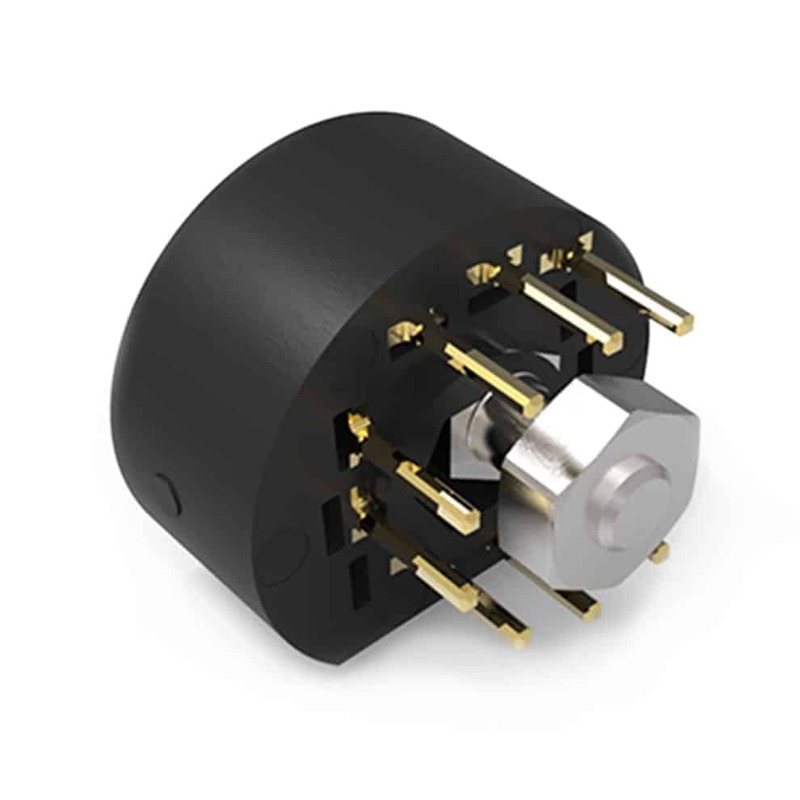 Our CMM Micro Connectors have been designed to meet or exceed the electrical and mechanical performance criteria of MIL-DTL-55302F and BS-9525-F0033 standards. Three kinds of 2mm contact – high power, high frequency and low frequency – can be combined in up to three rows, allowing for more than 20 million possible standard arrangements. 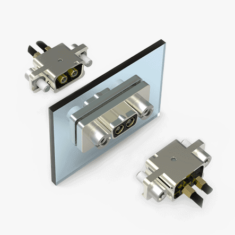 This high level of modularity provides customers with flexible design options and makes the CMM Micro Connectors especially suited for space and weight-contained applications such as unmanned aircraft. 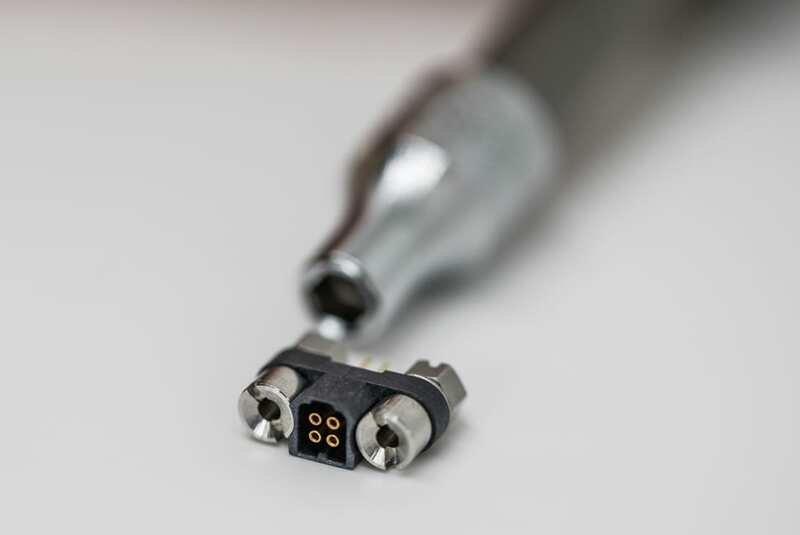 CMM connectors can be used for board-to-board, board-to-wire or wire-to-wire arrangements, with contacts on either the PCB or the cable. 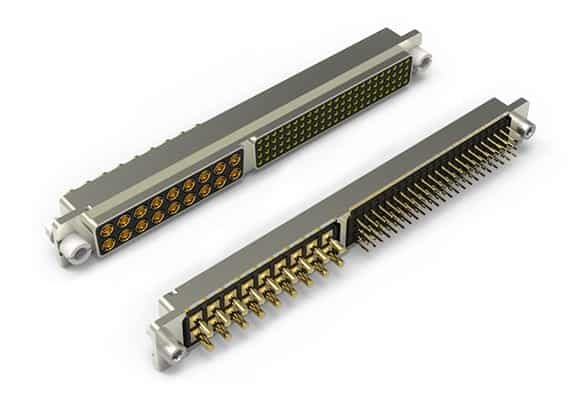 Our DMM Micro-D Mix connectors are compatible with MIL-DTL-83513G standards and offer a more flexible choice of arrangements to traditional Micro-D or Sub-D connectors, with more than two million possible configurations. 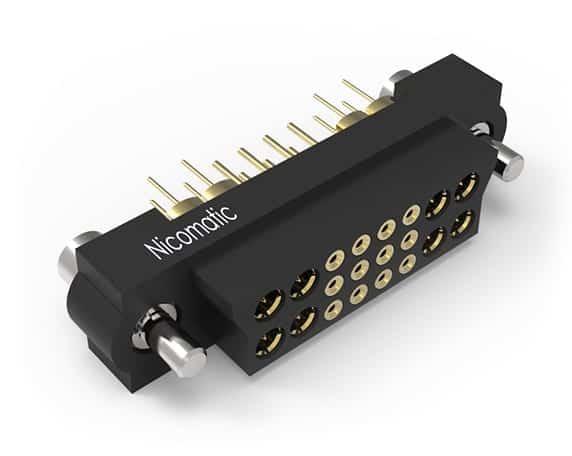 Each connector can mix signal, power and coaxial contacts in up to four rows, encased in either a one-piece or split two-piece backshell. 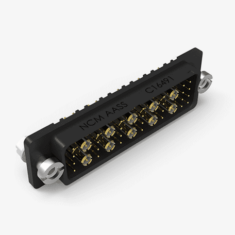 DMM Micro-D Mix connectors can be used for board-to-board, board-to-wire, wire-to-wire or panel mount arrangements, and are constructed from a PPS insulator in an aluminum alloy 6061 shell that can withstand harsh environments and temperatures from -55 °C to 125 °C. 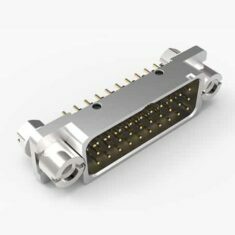 Our OMM circular micro connectors are designed for board-to-cable interconnection in restricted-space applications such as unmanned vehicles, with a compact modular design featuring up to eight contacts that results in up to 50% weight and space saving compared to our standard CMM 220 connector. 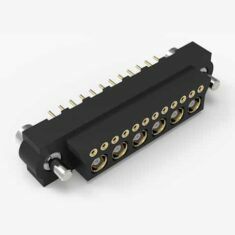 Manufactured from oxygen-free PPS material, the connectors are highly resistant to solvents, radiation and humidity. 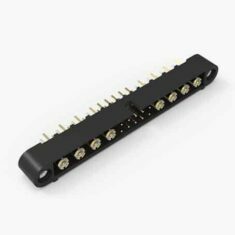 Signal terminations are available in pre-wired, SMT or straight tail configurations, and in addition to the standard 8 position housing, 6- and 10-position custom options are available upon request. 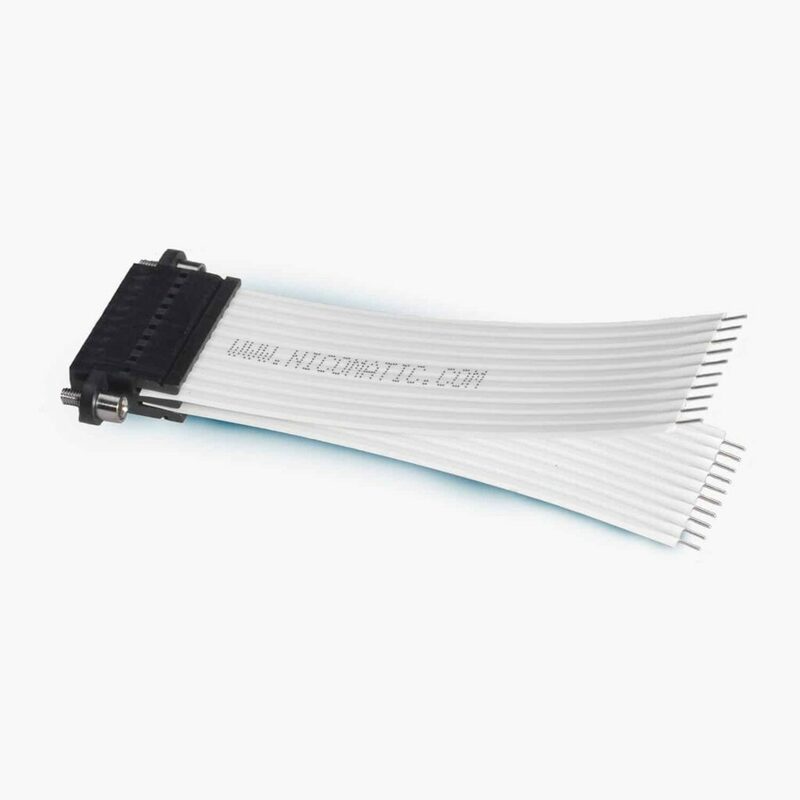 Our Microflex flat cable technology, designed to meet MIL-DTL-55302F standards, features a flat polyester harness with a screw fixing for high-vibration environments. 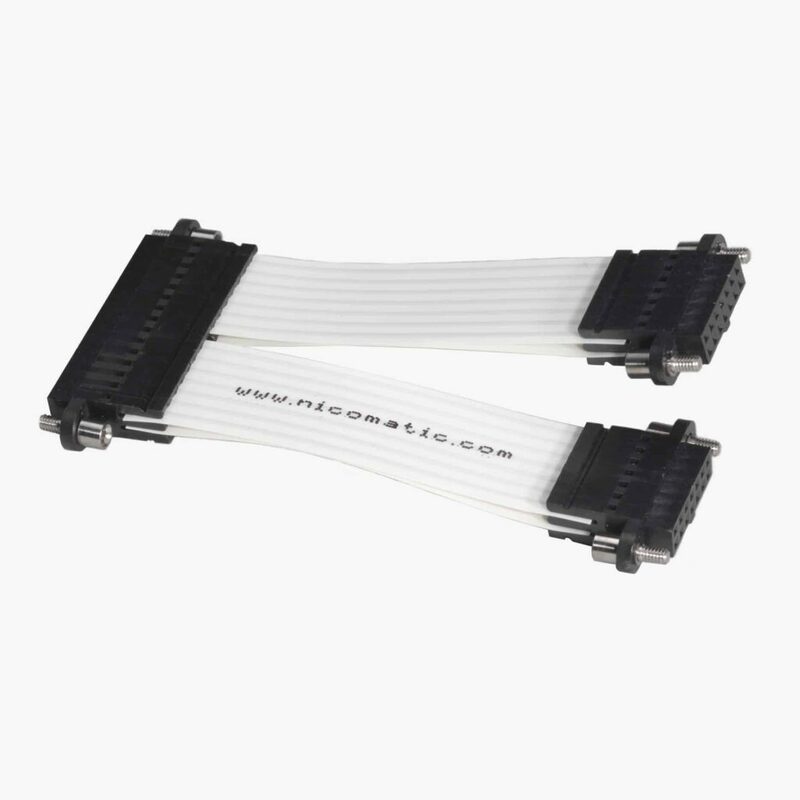 The Microflex cable harness jumper mates with a CMM 220 connector for high mechanical resistance, with a life expectancy of 10 million cycles. 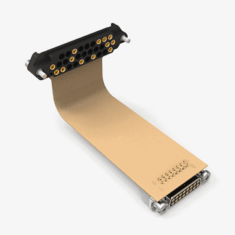 With up to 60% weight reduction compared to round cables, Microflex harnesses are ideal for unmanned aerial vehicles and other robotics applications where weight is at a premium. 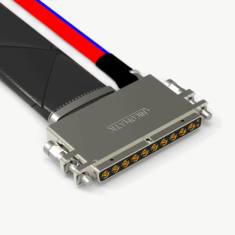 Three harness versions are available – female-female, solderpin-female and octopus multi-branch – with up to 60 2mm contacts per connector. As the unmanned industry develops and changes, you need new products that meet specific requirements and constraints. 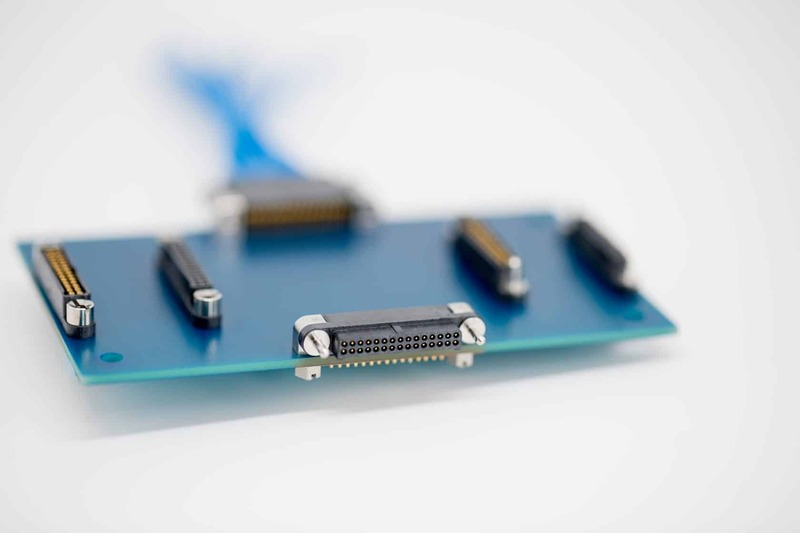 Our Custom Solutions department offers the services and interconnect solutions you require, such as the retrofit of obsolete products, standard product modifications and new designs. Our dedicated team of engineers will work with you to develop new solutions to reach your specific design goals. You will find our staff to be flexible and reactive, offering superior quality control and technical support. 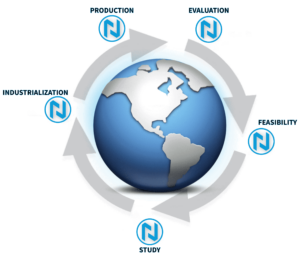 We will work with you to conduct a feasibility study and to develop small- and medium-series prototypes. By submitting this form, you consent for your details to be sent to NICOMATIC and its authorized partners in order to respond to your inquiry. Depending on the location of the organization, your personal information may be transferred and processed outside of the European Economic Area.